Long sleeves, vests for this contest. Please be onsite for 11 am. Entry on the door is $10.00 for all attendees. It is important that the band have a good turnout at all events, paying or not. In exchange for tuition, the hall, uniforms and instruments, members are expected to do their best to sign up to come play. Some events, like our own shows and Burns night require 100% attendance, even from non-playing members - there's always something to do at a lot of our concerts. Those not ready to parade can come out to help. If you're not ready yet, we'll practice marching at practices, but only if you are ready to go will you play. We have to do our best when presenting music to our audience. In order to facilitate easier sign up and attendance, the names of those who have signed up will be listed here with parade information. Please do your best to support the band when your schedule allows. See a band officer if you have any questions about your dress. Wear it proudly, and keep it looking sharp. 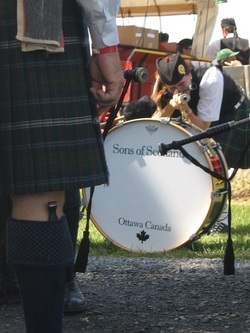 Members of the band are asked to sign up for as many parades and shows as they can to support the band. Money earned at events goes towards many things including our practice hall rental fees, purchase of uniforms and equipment, and more. 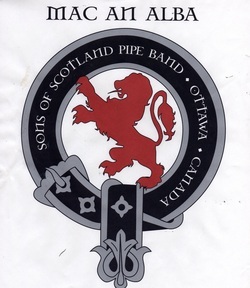 If you are not able to attend practice, please email me at bethany.bagpipes@sympatico.ca or call me at home at 613 562 4842 or on my cell phone at 613 851 3192 - you can text me on that 2nd number too. If you fail to get in touch on a regular basis we may need to ask for your uniform back for other members, and there are a lot of new ones coming out. Only people exempt from this would be the beginner drummers, who should contact Megan Bisaillion at mbisaillion@gmail.com if they have attendance concerns. More information is available in the band handbook posted here in the Members Section. Thanks everyone for your support and cooperation. A helpful and interesting article to help all of us who don a kilt at anytime. Also, please purchase a black Inverness cape. And put your name in it. And bring it to all outdoor events. To register as a competitor to be eligible to compete with the band or for solos at sanctioned events in 2019. visit www.ppbso.org and sign up - before December 31 you get a discount. The form and information is under their 'Form' Module. Members of the pipe corps are also asked to complete their Level 1 College of Piping examination with Beth before the first competition. The College tie is part of our contest uniform. Solo piping and drumming is good fun too - make sure you check out the requirements, and talk to your tutor about how to prepare and present your music. Interested in doing solo piping work? See Beth - she gets lots of requests, and has experience and advice for you.